Mandy Paddock is the wife of Prof Graham Paddock and the mother to Paddocks managing directors Sam and Rob. In many ways, literal and figurative, she is the “office mum”. Here’s some more about Mandy, including her famous banana bread recipe. Before she worked at Paddocks, Mandy spent 25 years doing hospital work, specialising in cardiothoracic physiotherapy. She left her job in 1997 to help Graham. “Graham had a ‘midlife crisis’ and decided to leave the law firm where he had been for 20 years. He needed someone to do the bookkeeping for him, so here I am.” Graham started Paddocks, which began as a sectional title consultancy and rapidly grew into the Paddocks we know today. Mandy says she never ceases to be amazed by how far the family business has come. “Graham started the UCT Sectional Title Scheme Management course and Sam helped him with the IT side of things. It was a huge success and Sam saw great opportunities to do online training. He persuaded his brother Rob to join us. The rest is history.” Mandy says that working with her family is a great gift, since she can see them every day and trust them. In her time off, Mandy loves just spending time at home with Graham and their three dogs, Lucy, Sasha and Bongo. She also enjoys reading and staying active by gardening and running on the treadmill. 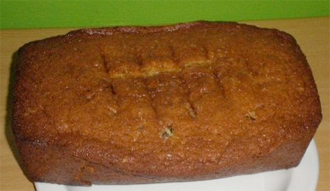 Around the office, Mandy is famous for her delicious banana bread (which she bakes in considerable quantities whenever there’s a birthday or party at work). She has kindly agreed to share her recipe with all the Paddocks Press readers. Cream butter and sugar, add the 2 beaten eggs and mix well. Add vanilla essence and mashed bananas. Fold in flour, baking powder, bicarb and salt. Put into loaf tin and bake at 180 degrees Celsius for 1 hour. Previous Post Capital of nature or capital punishment Next Post Who pays for balcony waterproofing repairs?